Baier now offers a complete line of Universal Marine hatch for commercial applications. These industry-standard type steel hatches have been used on workboat and barges worldwide. 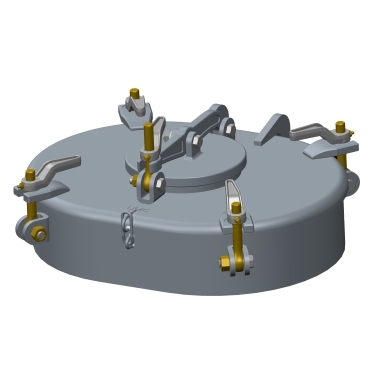 Our proven hatch closure systems feature simple proven designs, dissimilar metals on all operating features and are made of ASTM A36 steel.